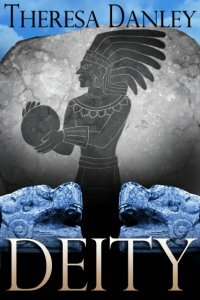 While on the hunt for two missing colleagues in Mexico, anthropologist Anthony Peet barely escapes a cenote collapse with his life while his student, Lori Dewson, is lost to a watery grave. Reeling from the tragedy, he is forced to continue his search, which quickly leads to the trail of a stolen reliquary cross rumored to have direct access to God. Little does Peet realize he’s centered himself between two opposing paramilitaries gridlocked in their own clandestine war. Sandra Carrington-Smith, Author of award-winning novel The Book of Obeah and Killer in Sight (A Tom Lackey Mystery).